Diabetes has become a big problem nowadays the world over. It is estimated that close to a third of the population in developed countries is pre-diabetic. However, more than 90% of the people suffering from diabetes have type 2 diabetes. Thankfully, research has proven that type II diabetes can be reversed with some lifestyle changes and weight management. It is important to mention here that while type II diabetes can be reversed for many people, the individual needs to stick to the changes in order to keep the diabetes at bay permanently. 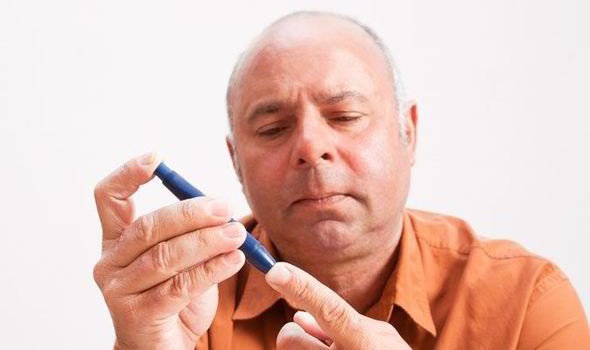 As far as a reversal of type 2 diabetes is concerned, it means that the person does not need to depend on medication to manage their blood sugar levels. So, if you or someone you know are suffering from type II diabetes, follow the tips below if you want to reverse this medical condition. Many people suffering from type 2 diabetes are overweight, and some are obese. Your body needs insulin for controlling blood sugar and higher weight means more insulin is needed by the body. However, the pancreas is not always able to make all the needed insulin and that is when type II diabetes sets in. One of the recommended ways to start reversing type 2 diabetes is to lose adequate body weight in case you are overweight. In most situations losing around 10-15% of your body weight may reverse this illness. As far as the exact percentage of weight a person needs to lose, it depends on various factors like their genes, their age, how much overweight they are as well as severity of the disease. In other words, there isn’t a standard amount of weight that one needs to lose in order to reverse this issues, but in general reaching a normal weight without too much excess body fat is already a great first step to start seeing better blood glucose and Hemoglobin A1c readings. Everybody is different and reacts differently to weight loss when it comes to reversing type II diabetes. Another key to reversing this ailment is to avoid a sedentary lifestyle as much as possible. In simple terms, it means that you need to spend a healthy amount of time each day moving your body and exercising. There are plenty of resources available online that can help you find the right exercises for your needs. Of course the two above factors go hand in hand. If you are dynamic and hit the gym regularly practicing various types of sports like karate, Thai boxing or Zumba, then your fight with excess weight will be so much easier. As far as losing weight itself from a nutrition standpoint is concerned, here are a few things that can help you lose extra weight and maintain a then healthy weight. Click this link for in-depth explanations. 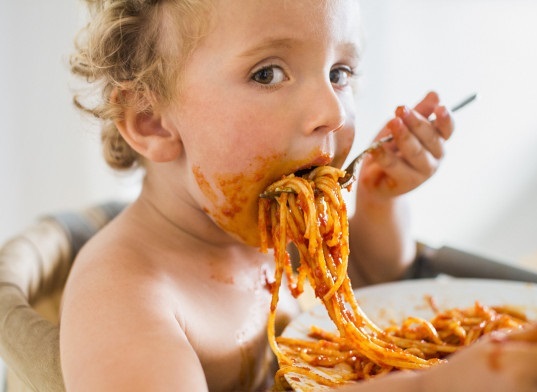 One of the best ways to stay away from eating excessive food is to eat many times a day instead of gorging down on food just one or two times a day. Physiology experts recommend breaking down the food consumption in multiple portions throughout the day to make it easier for you to control your blood sugar levels. So, you should eat 3 to 4 small meals a day, and you can also have some snacks in between. Make sure each of them use small portions though. It will help you keep your blood sugar levels under control. Keep in mind that when you eat a very large meal, it also slows down your entire metabolism. With a slow metabolism, it takes longer for your body to digest the fats and sugars that may spike up your blood sugar levels. On the other hand, when you keep eating throughout the day, it keeps your metabolism smooth and helps you manage your blood sugar levels better. Do not make the mistake of skipping a meal to lose weight. Keep in mind that you need to maintain healthy blood sugar levels which means you need to be consistent when it comes to eating. If you develop the habit of skipping a meal, it may lead to very low levels of blood sugar followed by sweets cravings, and that is not good for your health especially if your are diabetic. To keep your metabolism smooth, you should follow the same meal plan each day. In simple terms, try to eat your snacks and meals at same time each day to help your body regulate the level of blood sugar. It is also suggested to take all the medications that you are taking for maintaining your diabetes at the same time each day. You should also check the level of your blood sugar before and after you eat. It will allow you to keep a track of how your body is reacting to various foods you eat. You should avoid eating anything at all at least two hours before going to bed but preferably 4 hour before sleeping. Your metabolism slows down when you are lying down in bed which means if you have a heavy meal within two hours of going to bed, it may lead to some accumulation of fat in your body as a slower metabolism will not be able to burn off everything. Overall, most people who suffer from type II diabetes can reverse this condition by following the above mentioned tips and living a healthy lifestyle. However, it is important that you discuss the plan that you are going to follow with your doctor before you start to make sure it doesn’t adversely affects your health. Click this link for more in-depth explanations. They supply our bodies with energy. Carbs are compounds that are made up of carbon, hydrogen and oxygen in the ratio of 1:2:1. There are different types of carbs and some forms are more beneficial to our health than others. 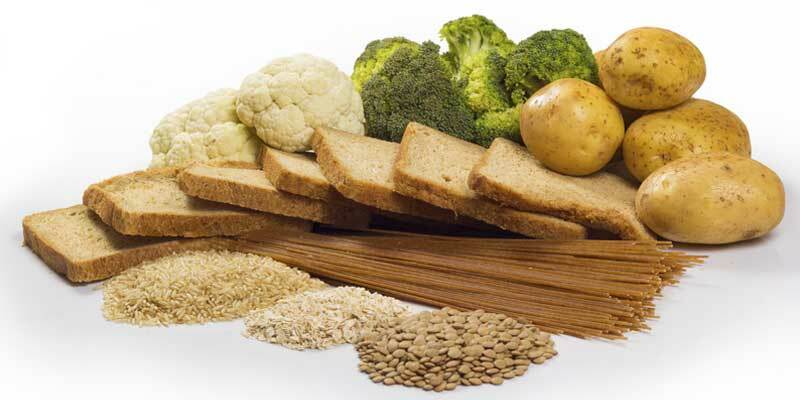 Carbohydrates can be classified into simple and complex carbs, whole grain starches and fibers. Simple and complex carbs differ in their structure and the speed of their digestion and absorption. Simple sugars are the simplest forms of carbs. They are easily absorbed and can quickly supply the body with energy. They include monosaccharides and disaccharides. Monosaccharides are formed of one unit of sugar. They are usually referred to as sugars. They include glucose, galactose and fructose. Disaccharides consist of 2 sugar units such as lactose (found in milk) and sucrose. Simple sugars are naturally found in fruits, vegetables and milk which also have other nutrients. Eating foods to which simple sugars are added leads to a quick rise in the sugar level in the blood. Insulin is quickly released to bring the sugar level in the blood back to normal and leads to fat storage. If our food intake is greater that the calories burned, this can result in weight gain and can increase the risk of cancer and type-2 diabetes. It is recommended to reduce the consumption of simple sugars and to use complex sugars instead (such as whole grains). Complex carbohydrates (polysaccharides) consist of 3 or more sugars in a chain. They take longer to break down and digest. They include starches and fibers. They also include the refined starches that have been processed. During processing, the germ and bran are removed from these carbohydrates. Refined starches include white bread, white pasta, white rice and white flour. Most of the nutrients have been lost during processing. Low-fiber diets with the consumption of refined starches were found to be among the leading causes of type-2 diabetes that is increasing at epidemic rates. On the other hand, unrefined carbs (or whole grains) are packed with nutrients. They contain fiber as well as vitamins and minerals. They are better dietary options than refined carbs. They include brown bread, whole-wheat flour and whole-wheat pasta. Fibers are considered complex carbohydrates. However, they are not digested and absorbed. They absorb water and make the stools softer. Fibers increase the bulkiness of stools and make them easier to pass. This protects from constipation and hemorrhoids. Fibers can be found in oatmeal, nuts, popcorn and in many vegetables and fruits. Fibers and whole grains stay for a longer time in your stomach and so you feel fuller. They also don’t cause the rapid rise in the blood sugar level as that caused by simple sugars. Therefore, they were found to protect from heart disease and diabetes. It is recommended that the daily carbohydrate intake should form 45% to 65% of the total calories consumed. You can refer to the Nutrition Facts label to determine the carbohydrate content of any food product. Some Nutrition Facts label also give the amounts of the different types of carbohydrates found in the product. It is recommended to choose whole-grains as well as high-fiber food. Eating sufficient amounts of fruits and vegetables daily can give the body the needed carbs. It is also suggested to avoid foods and drinks to which sugar was added in large amounts. It is also better to avoid refined carbs. Establishing a healthy lifestyle where we choose the best carbs is an essential step for a better health. It can take time and some practice to choose the right carbs and to know how to incorporate them in our daily diet. However, that will protect your body in the long run from serious diseases. If you are concerned about diabetes and what you should eat, get more info here. There is a myriad of medical conditions that go with old age, and dementia is probably one of the scariest of them all. It is terrifying that for people age 60 and above, one in six seniors have dementia. With impaired cognitive functions, spatial awareness, language and memory loss can be problems associated with it. There are many treatments available out there, but often times these have little effects on the individual as it is too late once your brain has been severely altered already. With a condition terrifying such as this, the only thing we can do is prevent the onset of this ailment as early as possible. In particular are people suffering from type-2 diabetes more at risk? Recent research was conducted on 2 million individuals’ GP records checking their body mass index (BMI) from middle age to old age. Findings say that those diagnosed with dementia actually have low body mass index. These findings only tell us that there is a contradiction on the hypothesis that the likelihood of getting dementia increases when an individual is obese. However Deborah Gustafson, an epidemiologist in State University New York says that the design used on the study mentioned above was flawed because the time frame as to when the BMI was recorded was inconsistent and did not coincide with the dates on when these subjects got diagnosed with dementia. According to Gustafson, BMI and dementia have a complicated relationship. Aside from our genes being a factor of this condition, a higher BMI during the ages 30 to 60 increases the risk of developing dementia later on. To put this in a clearer perspective, it is healthier to be neither obese nor underweight. The director of Research and Development at the Alzheimer’s Society says that there is evidence-based strategies in delaying the onset or preventing dementia. According to Dr. Doug Brown, looking after your heart health, diet, and exercise are the three secrets in preventing this condition from occurring. A study following 3000 individuals in the course of 35 years showed that regular exercise or even taking as little as a 30-minute walk can already help reduce the risk. 15 to 20 years before you will see clinical symptoms, dementia may already have started to take over. Early intervention is a good way for preventing this condition. It has been determineed that unhealthy lifestyle choices can cause the early onset and therefore, pre-diabetic conditions, high blood pressure, and high cholesterol can be the signs that you need to take action early on to avoid getting it later. A healthy diet and regular exercise routine has been found to improve cognitive functions among midlife adults. Try to stay on top of your vascular condition as well. This will not only help you keep a healthier body, it also delays other age-related conditions that you might need to face if you did not take care of your health. 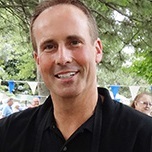 According to Gustafson, educating yourself about how to take blood pressure will help you to stay cognizant in preventing high cholesterol levels and diabetes. Smoking also increases the risk of dementia, and according to scientific studies, smokers have a 45% higher risk. The more you smoke, the higher this percentage increases. Educating yourself as early as possible is one of the keys in preventing dementia too. Aside from the knowledge you get about how to prevent and manage this disease, you also activate your cognitive abilities as you learn new information. Educating and learning new things is the exercise your brain needs to stay alert. The more you keep it active, the more it prevents dementia. Exercising your body is also important to keep your cholesterol, blood pressure and weight at normal levels. You should also be strict with your diet. A diet high in cereals, vegetables, fruit and fish may lower the risk of dementia and other vascular diseases. Eating foods rich in vitamins B6, B12, A, C, E, omega-3 and folic acid is a must. But eating a plate of fish drizzled in olive oil and tomatoes is healthier than drinking a bucket of vitamins. Hello, I am John, welcome to my site. When I was diagnosed with type-2 diabetes 5 years ago, I could not believe it. Honestly it took a while to sink in. I thought it was a fluke, but further blood samples confirmed the news. I never had such an issue when I was younger, it just happened in my mid-forties even though I had not changed my lifestyle at all. As I did not want to become a slave of the big pharma industry, I researched all possible solutions that could fix the problem in a natural way, without using any prescription drug. This site is the result of my fact-finding journey, as I wanted to share this knowledge with anyone concerned with diabetes. Do not get fooled by the naysayers, you can do it: yes you can improve your health naturally, it is just a question of knowing what to do. 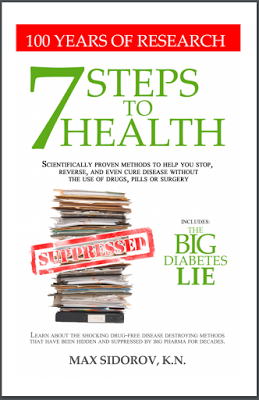 Is there a way to naturally cure type-2 diabetes, that you doctor is not telling you about? This medical condition is still not well understood even by doctors, but new research is starting to put light on what is causing it and how to avoid getting it… [Learn more].